Does college make you liberal? Is American academia a bastion of leftist groupthink or an enclave that produces free-thinking, progressive intellectuals? Evidence from Sociology and History suggests not — but finds that academic liberalism has become a self-reproducing phenomenon. 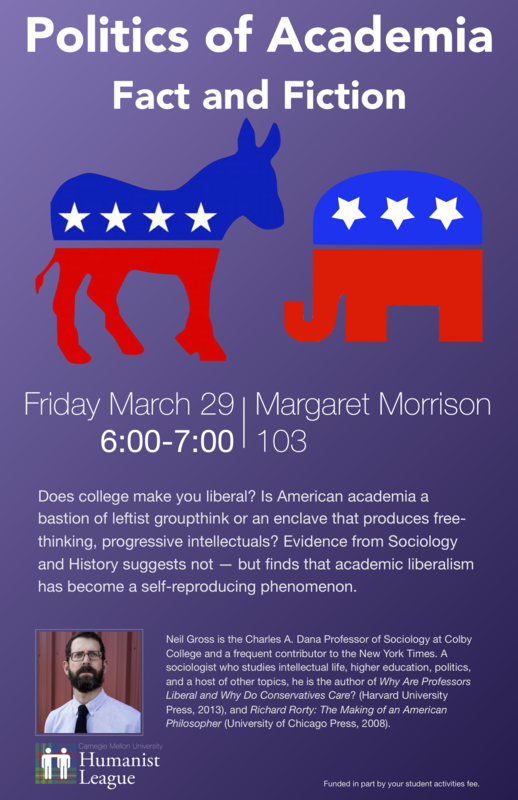 Neil Gross is the Charles A. Dana Professor of Sociology at Colby College and a frequent contributor to the New York Times. A sociologist who studies intellectual life, higher education, politics, and a host of other topics, he is the author of Why Are Professors Liberal and Why Do Conservatives Care? (Harvard University Press, 2013), and Richard Rorty: The Making of an American Philosopher (University of Chicago Press, 2008).